This traditional styled casual sofa features traditional round arms and plush seat cushions for your living room decorating. 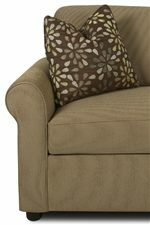 Rolled arms and soft square accent pillows create a welcoming place for friends and family to relax with you. The Enso mattress offers a comfortable place to sleep where you can accommodate out-of-town guests. 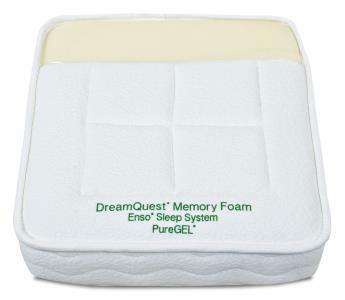 The Brighton Enso MemoryFoam Regular Sleeper by Klaussner at Olinde's Furniture in the Baton Rouge and Lafayette, Louisiana area. Product availability may vary. Contact us for the most current availability on this product.